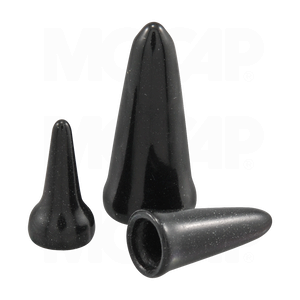 MOCAP High Temperature Vinyl Plastic Tapered Masking Plugs are another quality low cost answer to your masking needs. Flexible material allows these plastic plugs to seal threaded and non-threaded openings. Special high temperature resistant vinyl material withstands up to 230°C (446°F). High temperature resistant Tapered Plugs are available in sizes to fit M4 through M10 metric threaded holes and 6-32 through 3/8-16 standard threaded holes.